Renal MR angiography is frequently performed for noninvasive assessment of the renal arteries, usually in the setting of hypertension or renal insufficiency unresponsive to medical therapy. A variety of techniques are currently available, and examinations can be performed with or without intravenous gadolinium contrast agents. 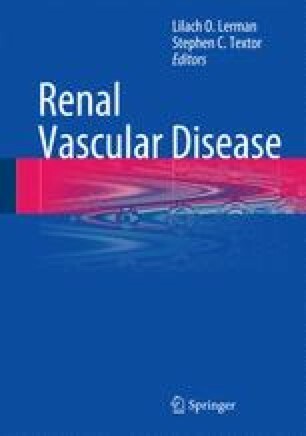 The most common contrast-enhanced and non-contrast techniques will be reviewed, along with their advantages and disadvantages, followed by a discussion of the various clinical indications for renal MRA, including an examination of the true accuracy of renal MRA for detecting clinically significant renal artery stenosis. Finally, recent and future developments in the field are assessed.